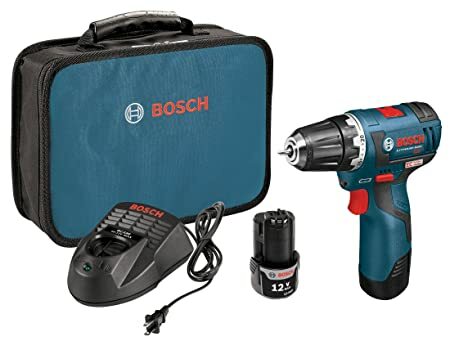 Today, August 9th only, go to Amazon you can now get this highly rated Bosch 12-Volt Brushless 3/8″ Drill/Driver Kit w/ two Lithium-Ion Batteries, a 12V Charger and Carrying Case for just $84.98 shipped (regularly $144.99). This Drill/Driver weighs only 2 pounds and has a head-length of 6.5″. It has a two-speed setting, with a high-torque setting for driving and a high-speed drilling setting and it has 20+1 clutch settings for max versatility.